RUSH: Look at this. This is yet another story that has been learned from this new book by David Corn and Michael Isikoff. 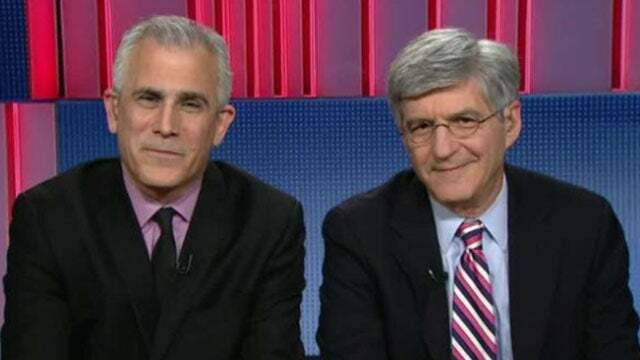 Now, just to refresh your memory, these guys had a story that they sat on for months while the investigation of Trump continued under the auspices of the Steele dossier, the Steele dossier, the Trump dossier. It was the reason for the investigation beginning. Comey said he believed in it, even though he couldn’t verify it. The CIA, the Director of National Intelligence, the Obama administration claimed to believe it. These guys have known for months, however long it’s been that they’ve been writing the book, that the golden showers aspect of the dossier was not even credible. That the author of the dossier, Christopher Steele, didn’t even believe it. And that some in the FBI didn’t believe it, but nobody knew this until they report it in their book, which has just been published. They’ve known it for months. They’ve been sitting on it so that they would sell their book with the information. But this golden showers story, this was 90% of why this dossier had any weight whatsoever. Because hiring a bunch of prostitutes to come urinate on a bed that Obama had slept on, that’s pretty reprehensible. If that’s verified, then this guy Trump, he really is a reprobate, and that would mean we could believe some of the other bad things about him. But it turns out it was all BS. 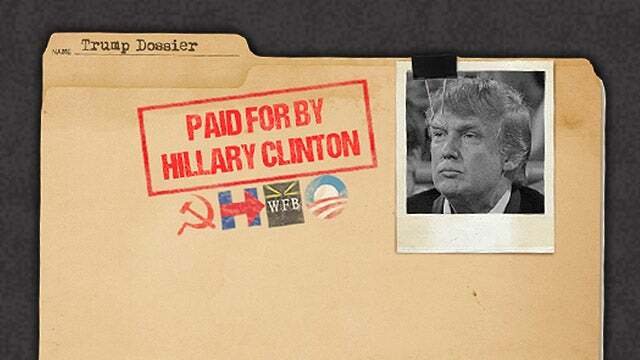 There isn’t anything in this dossier that’s true. And there have been people that have known this, and they’ve sat on it, and this investigation has spun up and spread its tentacles far and wide. And now we find out that during the entire period of this investigation nobody believed the golden showers story, primarily because Trump wasn’t in town long enough for it to happen. He was in that hotel room for five hours beginning at 1:30 a.m., got up at seven, left, and went about his day with the pageant business. He wasn’t in there long enough. He didn’t make any phone calls. Keith Schiller was standing outside the hotel room the whole night, nobody walked in or out. It’s all BS, and everybody’s known about it, including Mueller and his team ’cause they’re talking to all these principles. This is simply outrageous. And Corn and Isikoff have known this and have sat on it and nobody knew about this aspect until yesterday when excerpts of the book are published and the book’s released. Now we got another one. “New Book Fills In Gaps Of Trump’s Moscow Trip — And It’s Not Good For The Dossier.” Corn noted the book reports that Steele has been telling associates he thinks when it comes to that particular allegation, the golden showers story, it’s 50-50 at best. “And I’ve got to say, it is unfortunate and rather deplorable an allegation that the guy who brought it forth can only say is 50-50 –” So they’re dumping on Steele in this book. “Oh, my God. The guy’s bringing it forward, can’t even verify it, think it’s only 50-50.” Do you realize what a scam this has been? It has been a total, total scam. And then when you realize that this whole technique, hiring Fusion GPS to hire investigators was started by Barack Obama to investigate Romney in 2012, then Obama hired Fusion GPS to spy on domestic opponents, i.e., members of Congress opposed to Obama’s Iran deal. They had two dry runs of this: digging up dirt on Romney and spying on opponents of the Iran deal. So then when it comes time to start damaging Trump after he wins, they go back to hiring Fusion GPS, which hires Steele, and they start the entire process over, this time with Trump as the target. And the Steele dossier was created out of whole cloth written and made up featuring unverifiable, uncorroborated, wacko allegations which sponsored and spawned a special counsel investigation in which people have lost their homes and face a lifetime in prison for things that are not even crimes outside the investigation. It is incomprehensible that there hasn’t been one person with character and integrity anywhere inside the establishment to stand up and stop this! Not one person has had the guts and courage, despite all that we have known, to stand up and tell everybody to stop this, that this is outrageous, it’s damaging the country. And it’s all about because a bunch of conceded eggheads can’t deal with the fact that they were rejected in a presidential election. And so they’re gonna do what they can to overturn it. And I don’t think we’ve learned even half of all the irregularities and smear jobs that have taken place here.